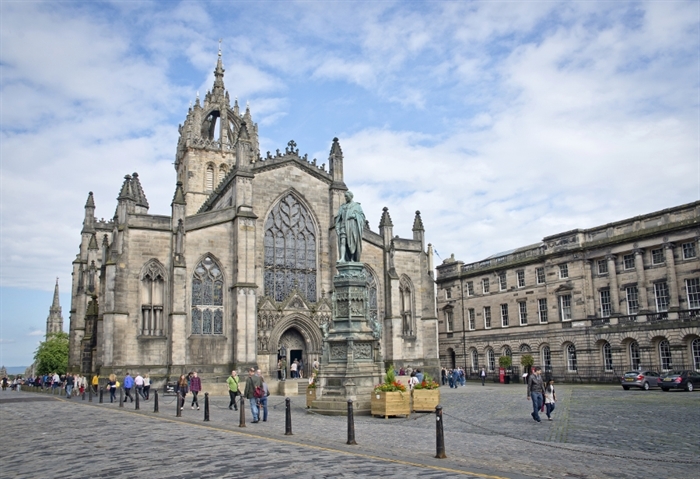 Edinburgh's Royal Mile is the heart of Scotland's historic capital. 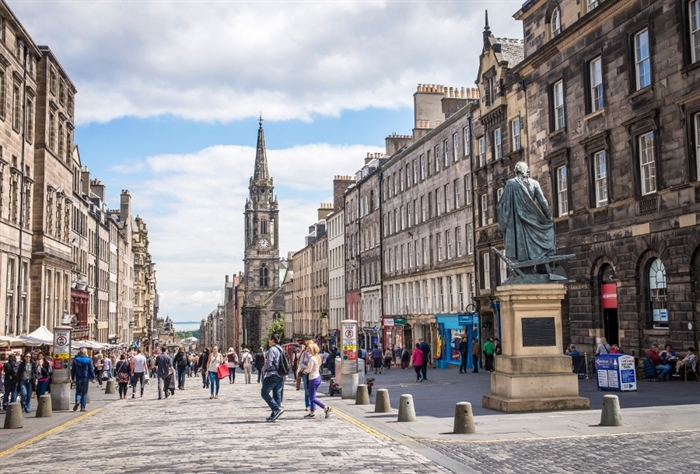 A short walk away is the Grassmarket, an area steeped in the city's colourful history. 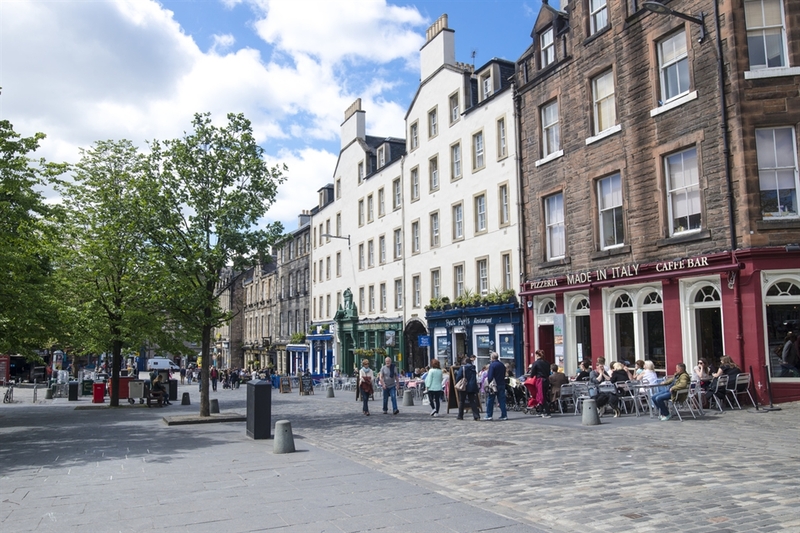 Once a medieval market place and site for public executions, the Grassmarket area is now a vibrant area buzzing with lively drinking spots and eclectic shops. Its detailed medieval architecture, stunning castle views and dynamic atmosphere make it one of the city’s most-loved areas, frequented by tourists, students and professionals alike. Though Grassmarket executions ceased in 1784, some of the traditional area’s pubs, such as The Last Drop and Maggie Dickson's, keep alive the bloody tale of a chequered past. The White Hart Inn has played host to some famous patrons, including Robert Burns, and like many other pubs in the Grassmarket, offers live music and acoustic performances on most nights. You can learn more about the area by following the free Greater Grassmarket Historic Trail map and listening to the free commentary. Fashion fans will uncover a wealth of gems at Armstrongs Vintage Emporium, a haven of retro clothes and quirky accessories, while Fabhatrix offers beautiful hand-made hats and accessories, perfect for a Scottish summer shower or winter frost. Scottish and European restaurants are dotted around the square, many of them offering outdoor seating areas for al fresco dining in the summer months. VisitScotland / Kenny Lam, all rights reserved. The Royal Mile, Edinburgh. VisitScotland / Kenny Lam, all rights reserved. The Royal Mile, Edinburgh. VisitScotland / Kenny Lam, all rights reserved. St Giles Cathedral on The Royal Mile, Edinburgh. VisitScotland / Kenny Lam, all rights reserved. The Grassmarket, Edinburgh. VisitScotland / Paul Tomkins, all rights reserved. 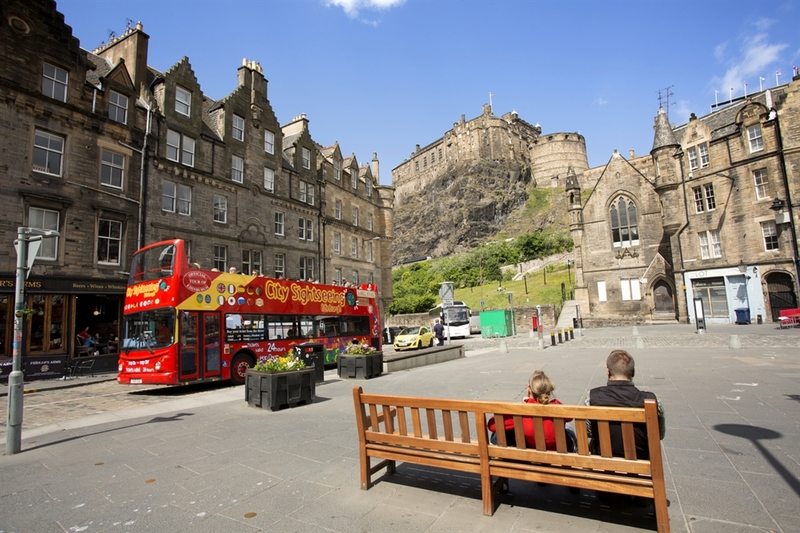 A City Sightseeing Bus in the Grassmarket with Edinburgh Castle visible beyond, in the city centre of Edinburgh.